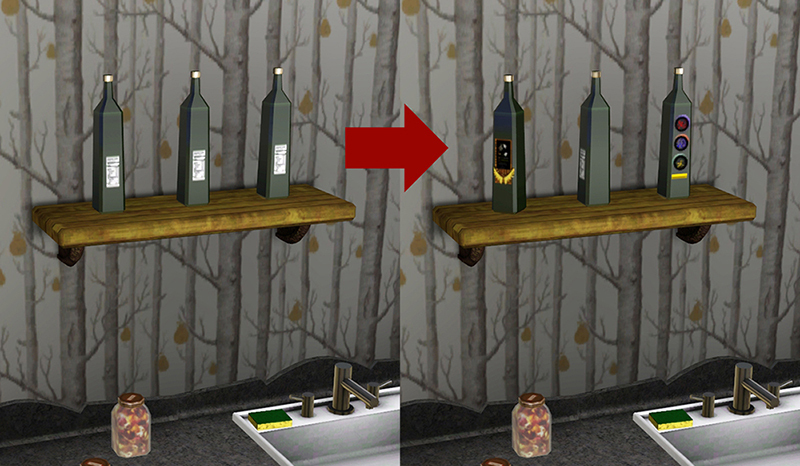 By default, nectar bottles cannot be rotated when placed on certain surfaces, even when they face the wrong direction. This mod enables full rotation on nectar bottles, including by Alt-dragging in Build/Buy. Bottle interactions should not be affected. Please do not re-upload to paysites, sites that offer pay memberships to bypass ads, or sites/blogs that use AdFly download links. Otherwise, this mod can be used and shared without restriction.